Whether you graduated from our Upper Elementary Program or attended Especially For Children & Indian Harbour Montessori for only a few years, you are important to us and will always be considered part of the EFC & IHM Alumni community! Come back to EFC & IHM for a visit in your favorite classroom or be part of an Alumni panel to talk about your experience at EFC & IHM and after. Volunteer to help the Advancement Office locate your classmates or organize a class or reunion of EFC & IHM Alumni. Donate items, attend, or volunteer for our Annual Auction for Financial Aid or attend one of our annual events like the Spring Musical or Graduation. Make a gift to Annual Giving to help support all of the things that were part of your Montessori education at EFC & IHM. Your continued participation in the life of our school is important to our current students and sets an example for future alumni to join in EFC & IHM’s legacy. 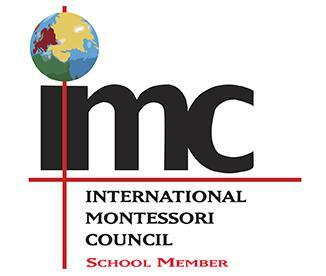 Please contact us at alumni@montessorischools.org, submit an update for the Alumni News section of the EFC & IHM Newsletter or change your contact information here, call the Office at 321-777-1480, or “like us” on Facebook by clicking the icon below. We look forward to hearing from you and seeing you around EFC & IHM soon! Since EFC & IHM alumni can be found all over the world, we rely on both traditional post service and email to keep in contact. If you have an email address or a way to help us re-establish a EFC & IHM connection, please take a moment to share this page below. You can also update your own information with our online form.